This week we get a little more background on our host, Booth. He may not be a true believer, but he does like to put on a good show. That’s not so bad, is it? We’ll keep peeling the onion with these characters, finding out more about Booth, and his ever-ready camera-person, Layla, as the weeks progress. Next week, I’ll introduce you to the new ‘bigfoot hunter’ for this season of Spottin’ Sasquatch. I hear he’s a little intense. 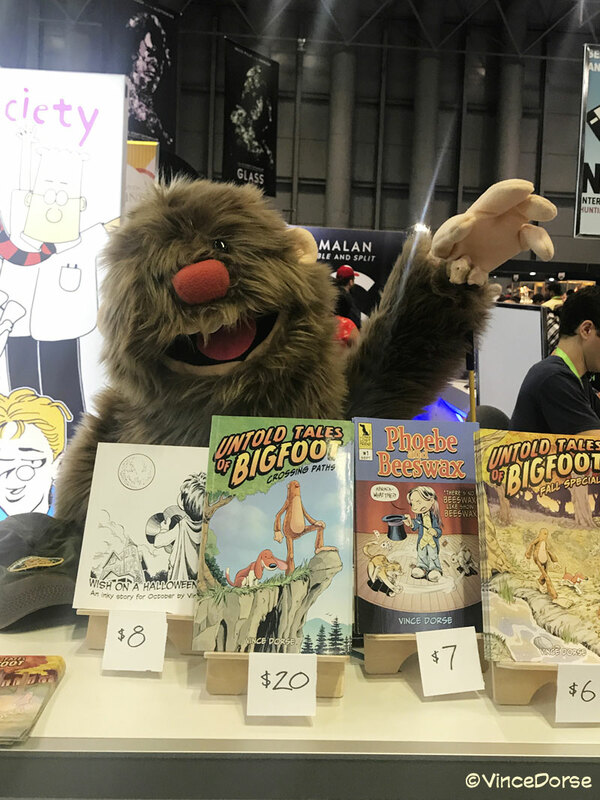 Well, of course, Bigfoot was there. He was a hit with kids and grown-ups and, frankly, if I could send him to the cons instead of me, I’d probably pull in a lot more revenue. 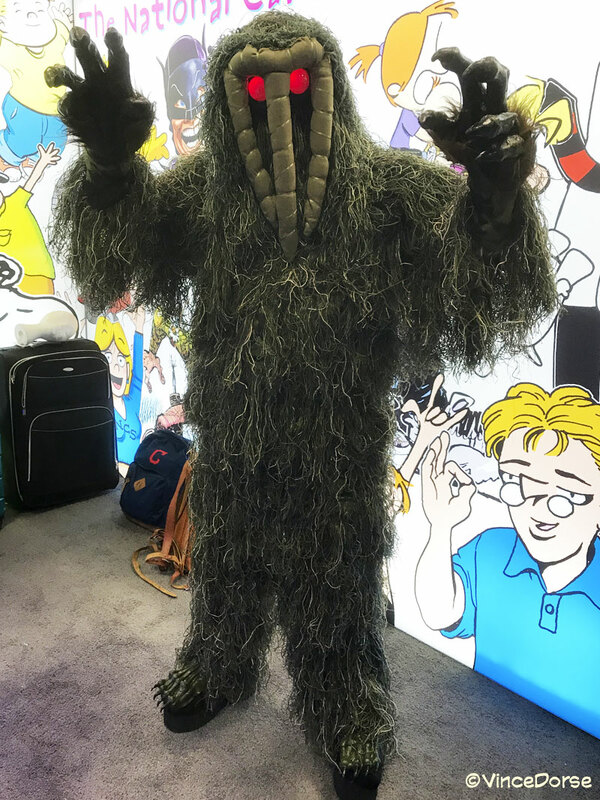 The Man-Thing lurched into the National Cartoonists Society booth. 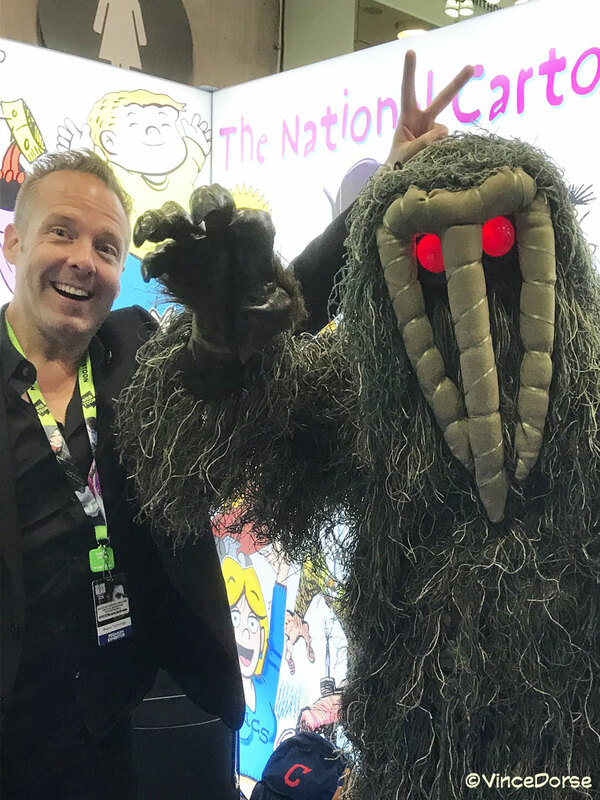 He got along with everyone at the NCS booth, so I can only assume none of us are evil—with the possible exception of Ed Steckley. 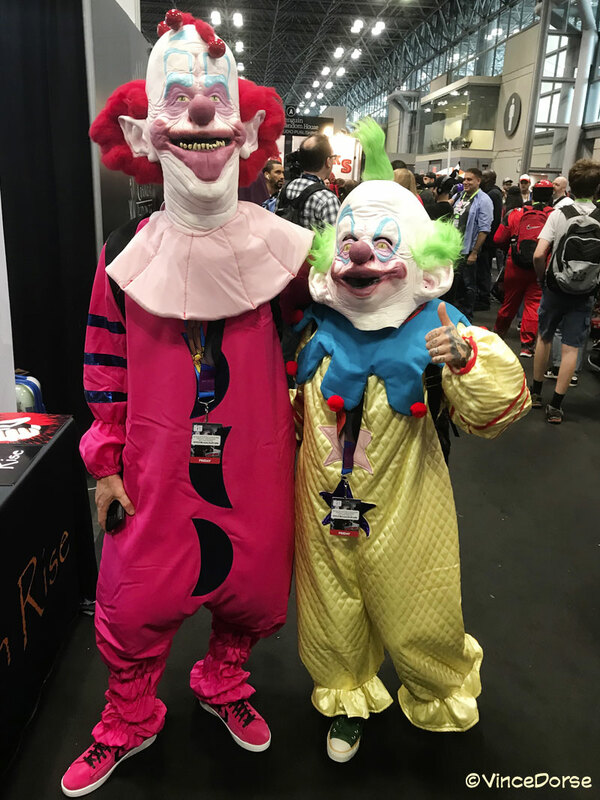 I spotted these Killer Klowns from Outer Space chilling by the video games. 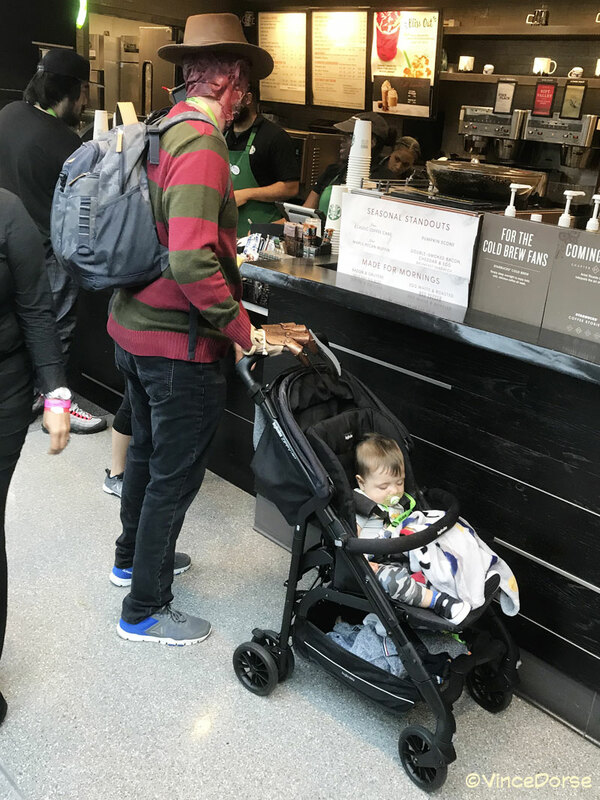 Pretty sure Freddy Krueger was invading the dreams of this poor sleeping child. 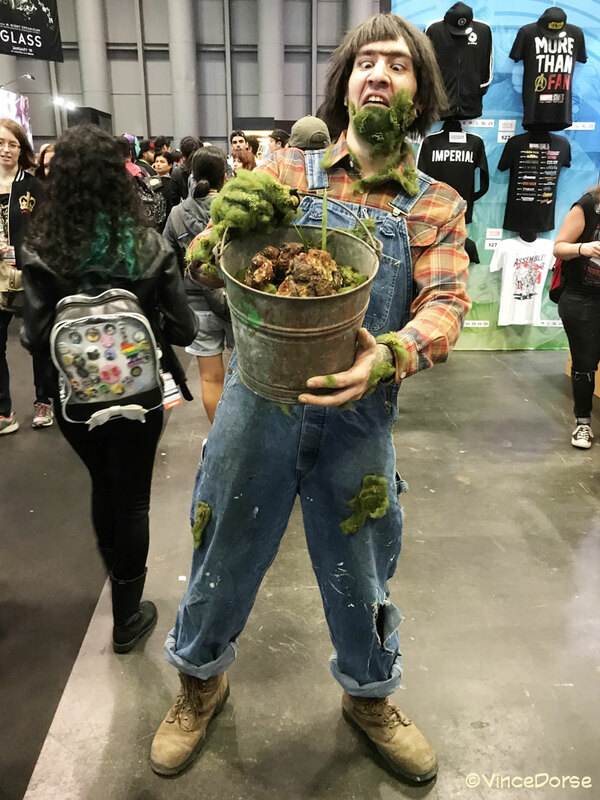 Jordy Verrill (Stephen King’s character from Creepshow) was there and, sadly, the meteor goo had already begun it’s deadly progression. In a few more hours, he’ll be as green as the ol’ Man-Thing up there. 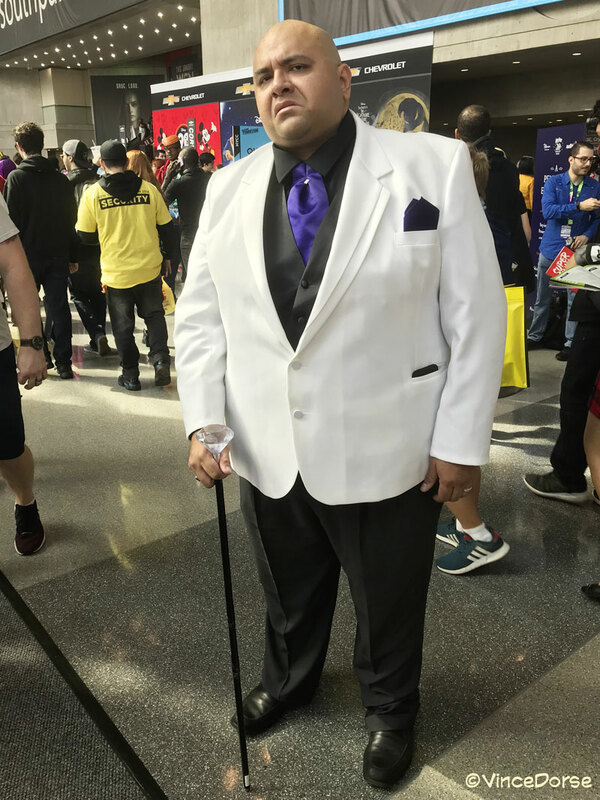 Not technically a monster, but certainly guilty of some monstrous behavior, the Kingpin of Crime, Wilson Fisk, was frightening on a whole other level. This guy stepped right off the page of a comic book and never broke character. But hey! Don’t worry! There were monster hunters there at the con too! 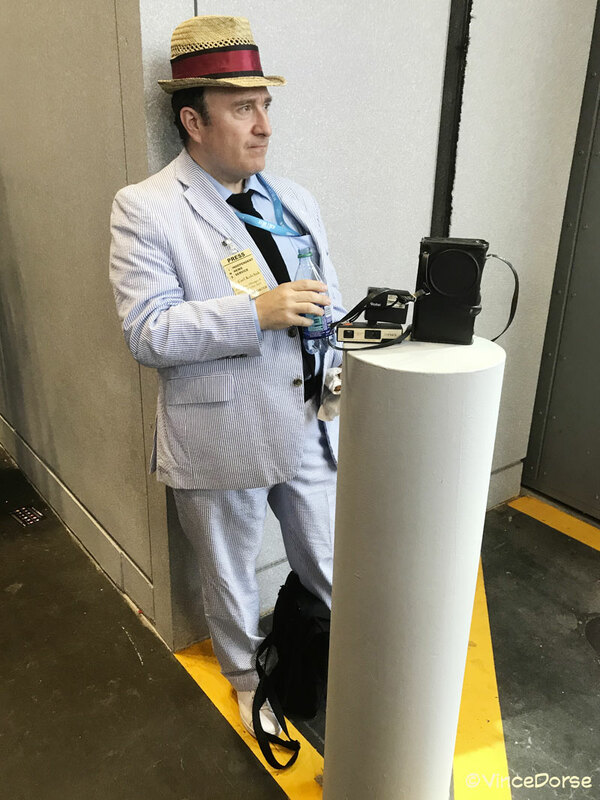 For example, International News Service’s crack reporter, Carl Kolchak was on the scene, looking for a scoop. 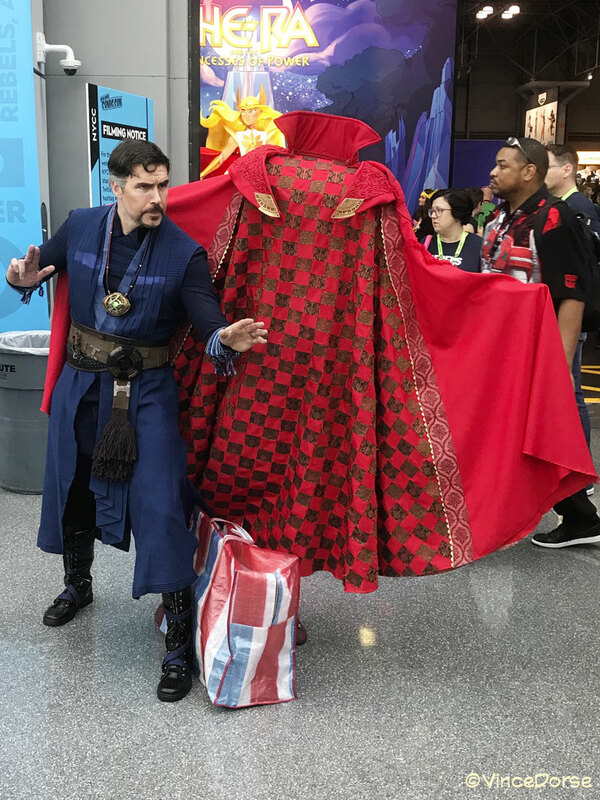 And if things got too out of hand, Doctor Strange and his sentient Cloak of Levitation had it covered. 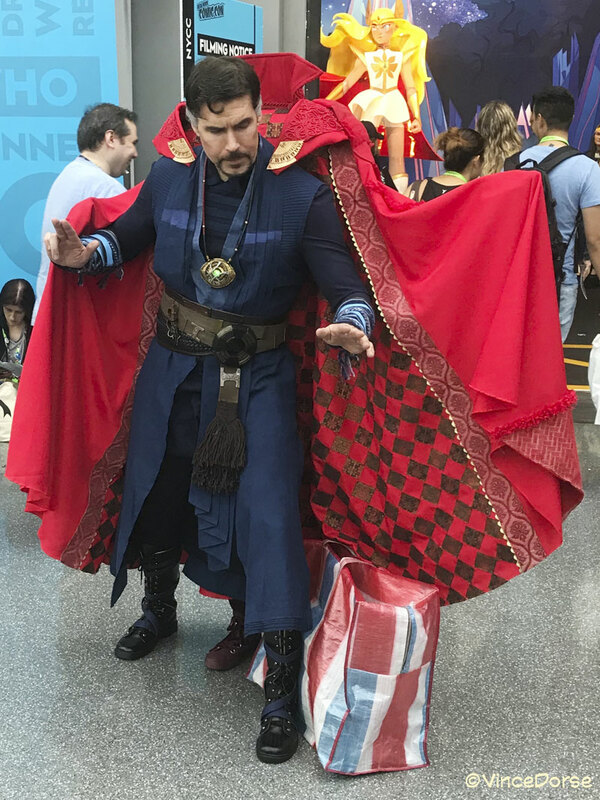 If you haven’t seen footage of this amazing two-person costume, the cloak would sometimes attach itself to the sorcerer’s shoulders. A masterful illusion. On the one day I couldn’t make it into the con, my friend and I drove up to Sleepy Hollow, New York. 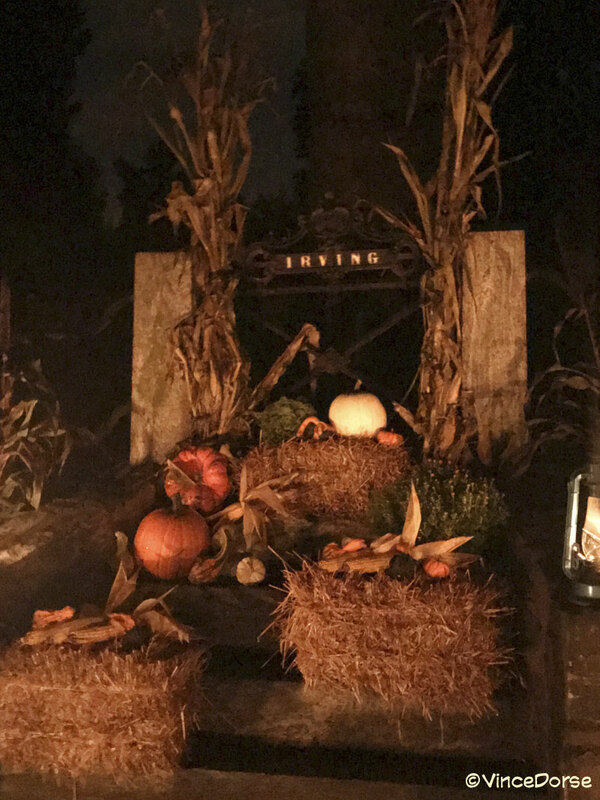 As night fell, we journeyed by lantern light to the grave of Washington Irving in the Sleepy Hollow cemetery. When we heard the sound of hooves approaching, we got the heck out of there.